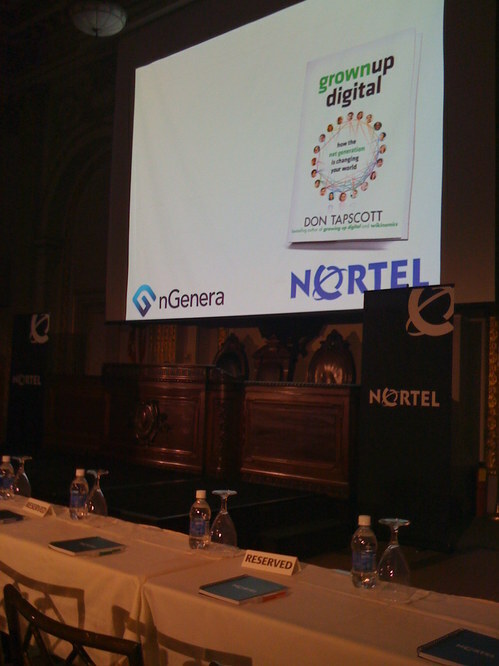 I am here at the Nortel Wall Street event at the New York Stock Exchange. I had an uneventful trip into the city and am now on the sixth floor of the New York Stock Exchange building waiting for the day to kick off. While my coleages in the office are busy writing up the latest Nortel News which was released on the wires early this morning, I am here live in New York awaiting the day's festivities. 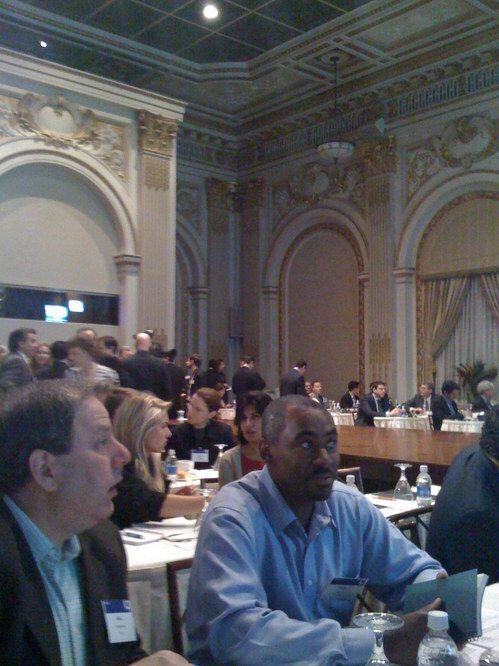 The itinerary given to us mentions a welcome from Araldo Menegon, VP Northeast Region, Nortel's enterprise transformation vision by Joel Hackney, President Enterprise, and finally a keynote by Don Tapscott, author and enterprise 2.0 strategist and finally a roundtable discussion with Araldo, Joel and Don. Nortel has had some financial troubles as of late and the company's stock is lower than at any point I can find via various stock charting programs I use which go back to 1982. Still, the enterprise has been a bright spot for the company and partnerships with Microsoft and IBM have helped. In addition, the company is forward-looking and has embraced web 2.0 -- ahead of others in the space. I am looking forward to the day's discussions and will have more to report soon.